It’s been just over five years since Razer introduced the original Blade laptop. At the time, it was the gaming answer to the ever- popular MacBook form factor—14-inch body, aluminum chassis, solid clamshell design. Read our Razer Blade 15 Review. 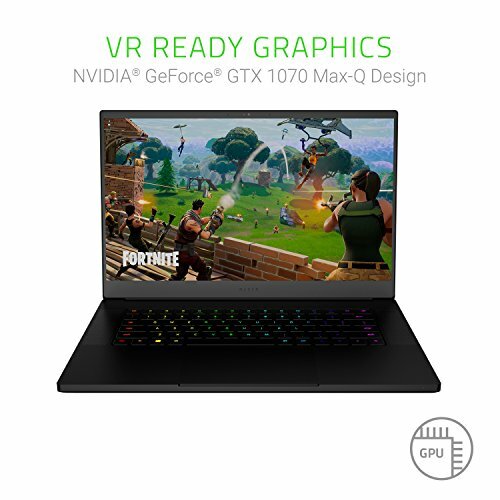 Compared to its contemporaries, the Blade was minuscule, but gaming laptops have slimmed down since, culminating in the Max-Q design seen in the best laptops of the last year or so. With the Blade 15, Razer has caught up with the competition in terms of what makes a great gaming laptop. 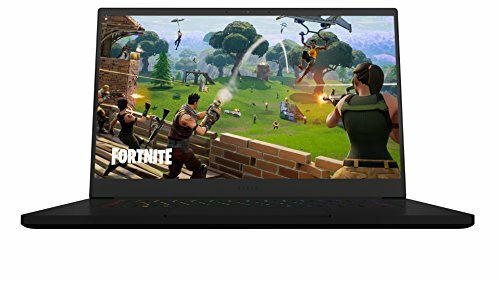 Solid build, slim body, elegant design, long battery life, thin bezels, 144Hz screen, and internals powerful enough to play the latest games. That means an Intel Core i7-8750H paired with an Nvidia GeForce GTX 1070 Max-Q. What sets the Blade 15 apart is the details. 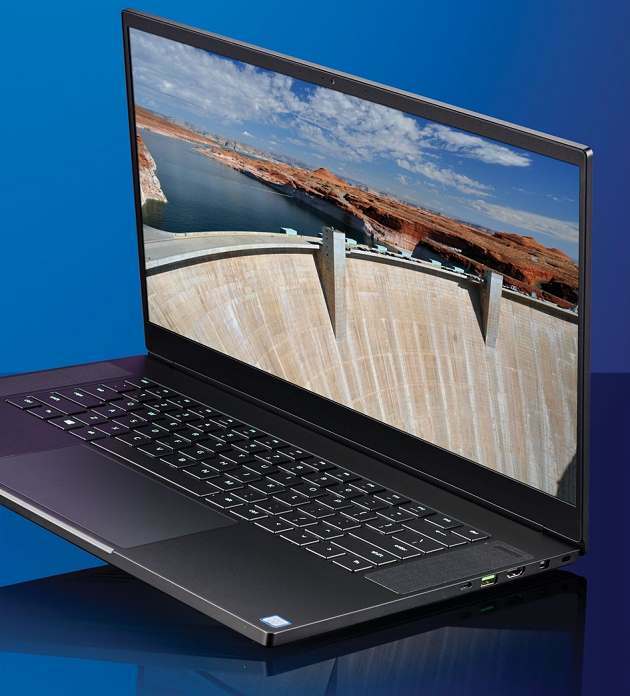 Its aluminum body is the most solid and flex-resistant of all the laptops we’ve tested lately, and it’s the thinnest, too, by about half a millimeter. 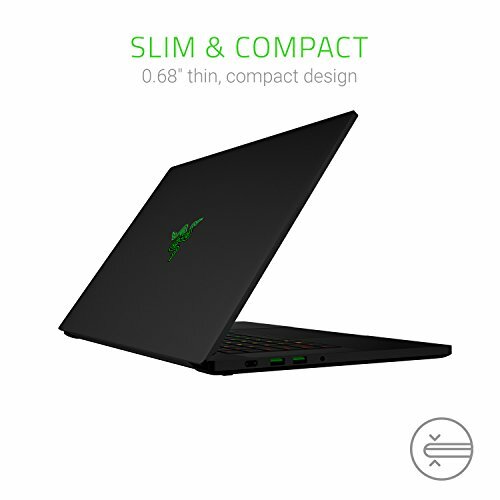 Of course, that half-millimeter difference is mostly negligent in terms of perception—more impressive is the overall solid feel of the body, which Razer says is CNC-milled from a single block of aluminum. Opening it up, the touchpad is larger than its peers, and the keyboard is flanked by large speakers. The keyboard, however, gave us a few problems. The keys feel good to press, suitable for both typing and gaming; our problem came with the layout, which in addition to missing a number pad (forgivable, considering the space constraints), repositions the up-arrow key between right-shift and forward- slash. If you’re used to using right-shift and forward-slash for question marks, prepare to mess that up. Our other issue is with the touchpad—its large size caused us to accidentally tap it while typing. 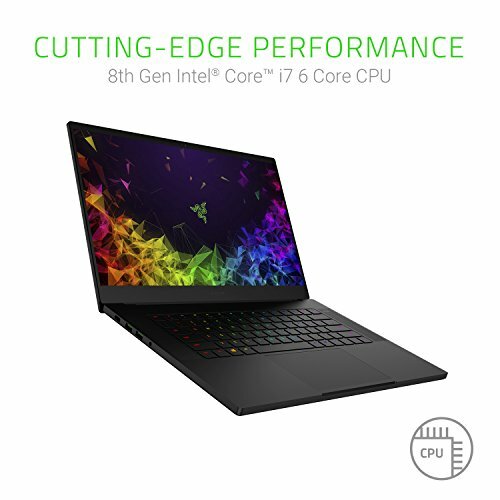 Razer cultivates its brand with a gaming- first mentality, which shows: Despite a slightly thinner design than its peers (17.2mm thick compared to the MSI GS65‘s 17.7mm), the Blade 15 performs better in our gaming benchmarks. It averaged 92fps across Rise of the Tomb Raider’s three- part benchmark, managing 144fps in the Mountain Pass, 83fps in Syria, and 78fps in the Geothermal Valley. That’s much closer to our zero-point’s 99 fps (powered by a non-Max-Q GTX 1070) in RotTR, compared to the mid-80s scores of the GS65 and Gigabyte s Aero 15X. Total War: Warhammer II and Ghost Recon: Wildlands produced scores either in line with or a slight step up from the GS65 and Aero 15X —59 and 44fps respectively—though the difference was more in the realm of 3-4 frames, as opposed to 10-plus. The Blade pulls those scores off thanks to a vapor chamber cooling solution connected to the CPU and GPU. 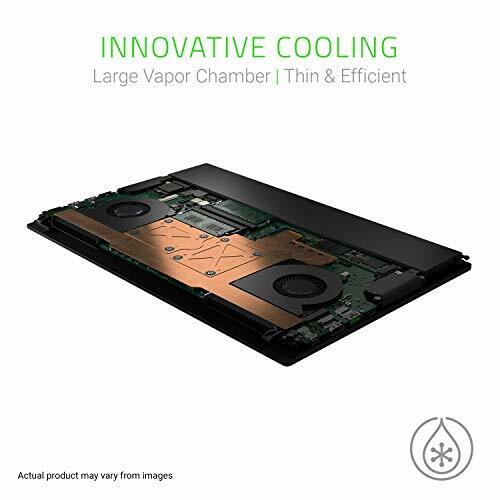 It keeps the internals from throttling under extended load, and stops the outside of the Blade getting too hot to handle during extended gaming sessions. After a lengthy stress test, we measured temperatures of around 54 C at the hottest points—above the keyboard—but the area around the WASD keys remained in the realm of a temperate 38 C. The bottom warms up to a point that’s uncomfortable for on-lap use, but we’ve yet to meet a gaming laptop for which that wasn’t the case. 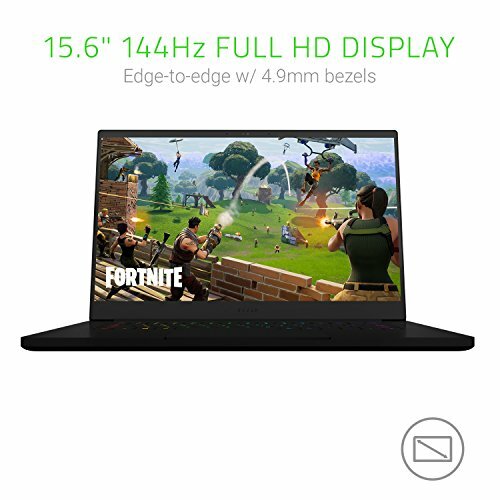 The Razer Blade 15 delivers absolutely everything we want in a gaming laptop, in one of the best-designed bodies we’ve ever seen. The build quality is top-notch, and gaming performance matches. The downside, of course, is its price. The Blade 15 that’s for a GTX 1060 Max-Q GPU and a 60Hz screen. The GTX 1070 Max-Q models, like the one we tested here, with more expensive options if you want a larger SSD or a 4K panel. The Blade is probably the best-looking gaming laptop we’ve ever tested, but near-identical performance can be had from MSI’s GS65 Stealth for a few hundred dollars cheaper. So, choose your weapon wisely…. Our laptop zero-point is the Asus GL502VS-DS71, with an Intel Core i7-7700 HQ, a 8GB GTX 1070, and 16GB of DDR6-2400. All game tests are performed at 1080p at the highest graphical profile.